This is a sponsored conversation written by me on behalf of College Inn®®. The opinions and text are 100% my own. 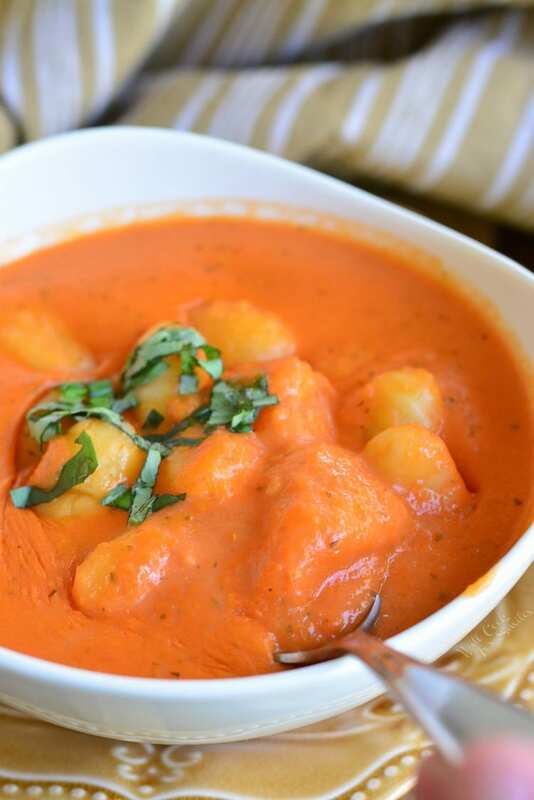 Classic tomato soup is only made better with the addition of soft, fluffy potato gnocchi. This is a homemade tomato soup made with roasted tomatoes, lots of veggies, fresh basil and a touch of cream. So how is the weather in January? This is a silly question since most of the country is covered in snow right now. Unless of course, you are in the tropical climate like I am and January for us is just another warm month. The only difference is much less humidity, which I always welcome. Usually, we are having some mild 50s/60s weather in January but this year is different! WE ACTUALLY HAVE BEEN FREEZING! Yes, the temperatures at night have actually dropped below freezing. During these chilly days, you can really tell who are the true Floridians and who are the northerners that moved down here. Floridians wear fleece hoodies, fur, hats, gloves, and scarfs. (Yes, I have seen people wear fur in Florida!) May be it’s been too long since I’ve moved to this tropical climate but I’ve actually worn hat and gloves on some days. It’s freezing out there! It’s time to take full advantage of this cold weather by wearing all my cute winter boots and making soups. Not at the same time, of course, but any change I get to wear my boots, I take it. I buy a new pair of boots almost every year but get so few chances to show them off. It makes me sad but I can’t stop. 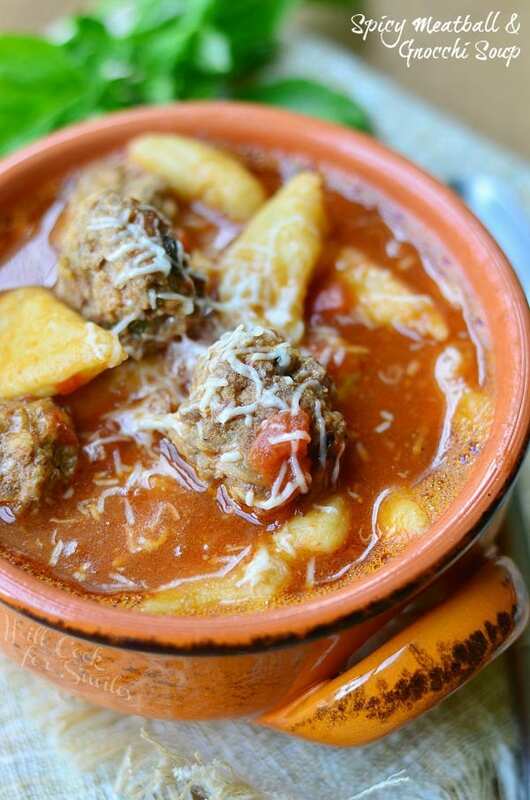 I also get so few chances to make my favorite soups since it’s mainly a cold weather dish. Nothing takes away cold weather blues like a big bowl of homemade tomato soup and a grilled cheese dunked into it. 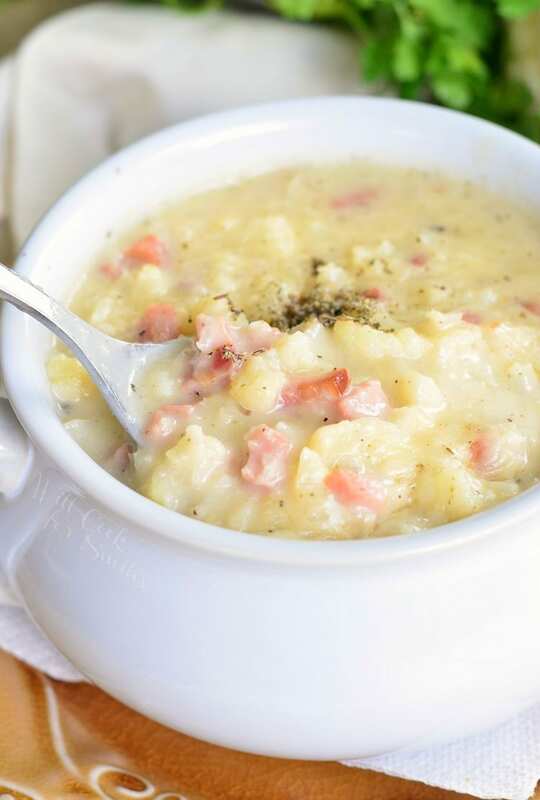 Unless, you throw some fluffy potato gnocchi into the soup…that’s much better! Don’t be scared by the word “homemade” though. It’s really simple and doesn’t take much time at all. Unless you use fresh tomatoes, which might take a few hours more, this soup is ready in less than an hour. I also like to use College Inn® Chicken or Vegetable broth in my soups. They blend the most flavorful herbs and spices into their broths giving your soup a deeper, richer flavor. 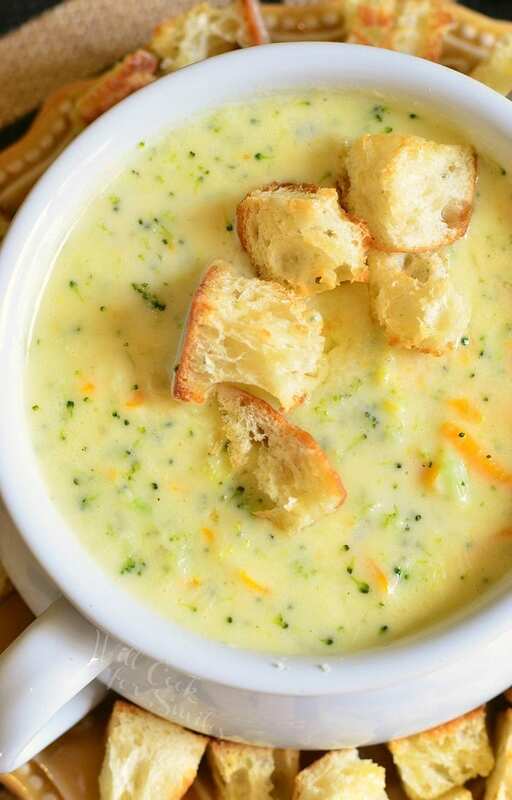 This soup can easily be made GLUTEN FREE too! 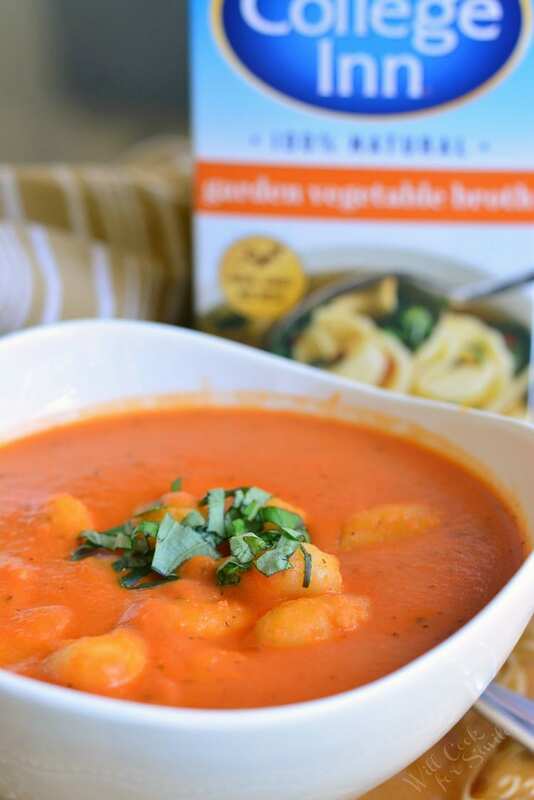 Just use GF flour to thicken the soup and use GF Gnocchi. 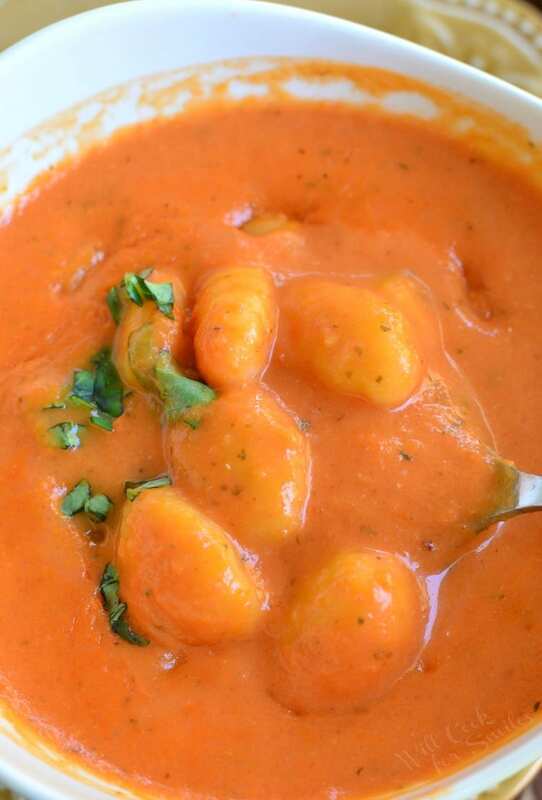 It’s quite exciting that they make gluten free gnocchi because it’s one of my favorite comfort foods. I love gnocchi so much more that pasta. This is a homemade tomato soup made with roasted tomatoes, lots of veggies, fresh basil and a touch of cream. Preheat the oven to 425 and lightly grease a rimmed baking sheet. Open cans of whole tomatoes and drain off the juice. Place tomatoes in the cookie sheet, in one even layer. Drizzle with some olive oil and sprinkle some oregano over tomatoes. Meanwhile, preheat a pot on stovetop over medium heat. Add some oil for cooking and add diced onion and carrots. Peel, smash, and chop garlic. Add it to the veggies. Sautee for a few minutes. Add roasted tomatoes to the pot and mix well. Sprinkle flour over veggies evenly and mix well. Start pouring in broth, while stirring. Add salt, sugar, and basil. Stir and cook for about 15 minutes. Blend everything until smooth. You can use an immersion blender to blend everything smooth or you can transfer it into a standing blender. If using a stand up mixer, transfer blended soup back into the pot. Stir in heavy whipping cream. Add gnocchi and cook until they start to float up. 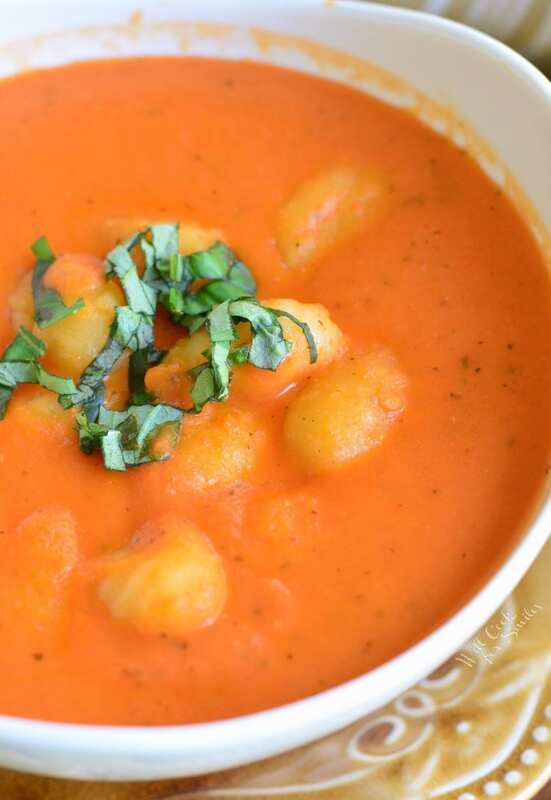 **If serving all the soup right away, cook all the gnocchi in the soup. 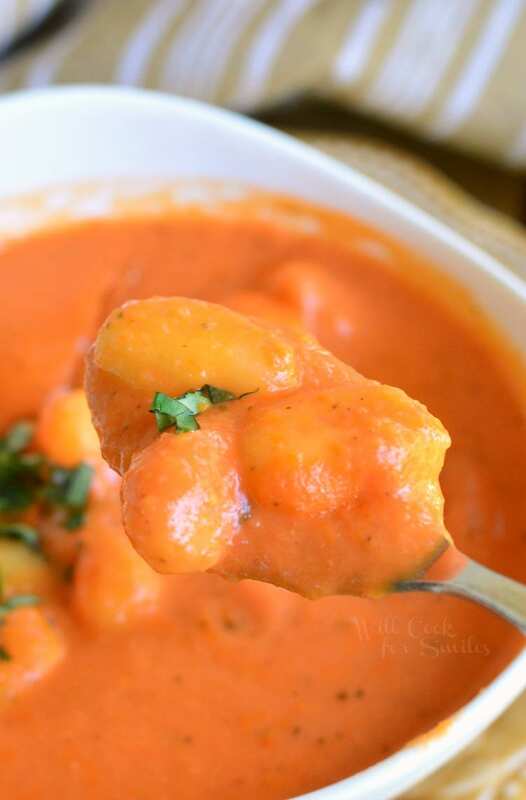 If you only plan to eat a couple of servings at first, cook a portion of gnocchi in soup as needed. 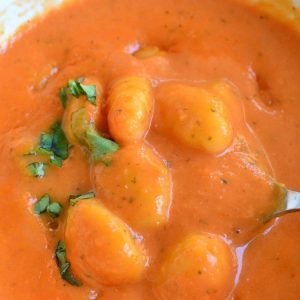 If you leave gnocchi in liquid for too long, it will get too mushy, much like pasta. ***If you decide to try this recipe, show off your final dish using #CollegeInnBroth on social media! This is a sponsored conversation written by me on behalf of College Inn®. The opinions and text are 100% my own. Oh boy ! Made for me and my son ! Thank you so much !